The Eternal Return explores the phenomenon of how a performer of colour such as international actor Sabu might be treated and thought of in a way analogous to the animals with whom he appears. In Sabu’s case this was the conflation of his background as mahout son’s with his career as actor that imposed a seemingly inescapable relationship with elephants: the animals recur throughout his filmography. It also highlights how, in spite of his extraordinary fame Sabu was always the sidekick and never the love interest. 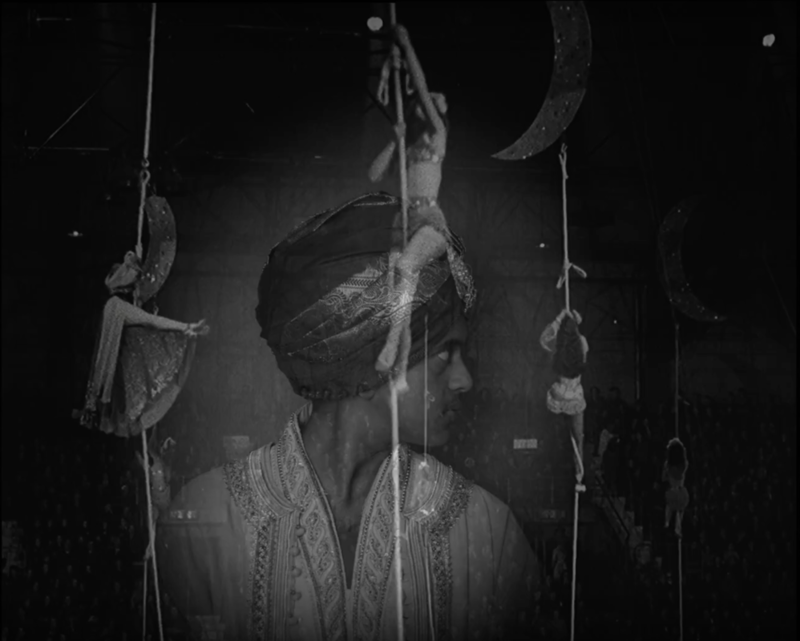 With the use of a combination of live-action dramatised recreation and British Pathé stock footage re-edited and altered with VFX, The Eternal Return revisits the now-struggling Sabu in 1951 as he supports his family by performing – once more with a troupe of elephants – in Tom Arnold’s Christmas Circus in Haringey Arena. The Fruit is There To Be Eaten is based on the 1947 film Black Narcissus, by British directors Michael Powell and Emeric Pressburger., set in India. 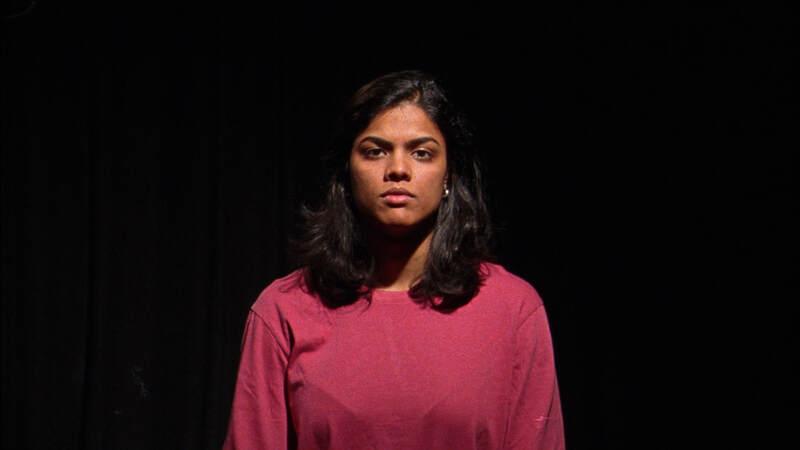 The work echoes the style of the source material in that it is set in India, but replaces painted backdrops with back projection, stock footage and revealed sets to reimagine the relationship between lower-caste dancing girl Kanchi and missionary nun Sister Clodagh. In a schoolroom and in the gardens of a Himalayan convent, Kanchi and Clodagh recognise they are trapped in a film set in 2016. With the colonies a distant memory, Clodagh has lost her role as sister superior. This allows Kanchi to introduce her gods in order to challenge an imposed belief system, and in so doing to break down the civility of the colonies into something more carnal. To cast Kanchi, Powell & Pressburger conducted a nationwide search. In all, almost 1000 hopefuls applied, with over 200 girls tested and interviewed. The coveted role went to seventeen-year-old Jean Simmons, who had won worldwide acclaim for her performance as Estella in Great Expectations (1946). To fulfil the role, she had to wear dark Panstick make-up and a jewel in her nose to become the “exotic temptress” of Rumer Godden’s novel. 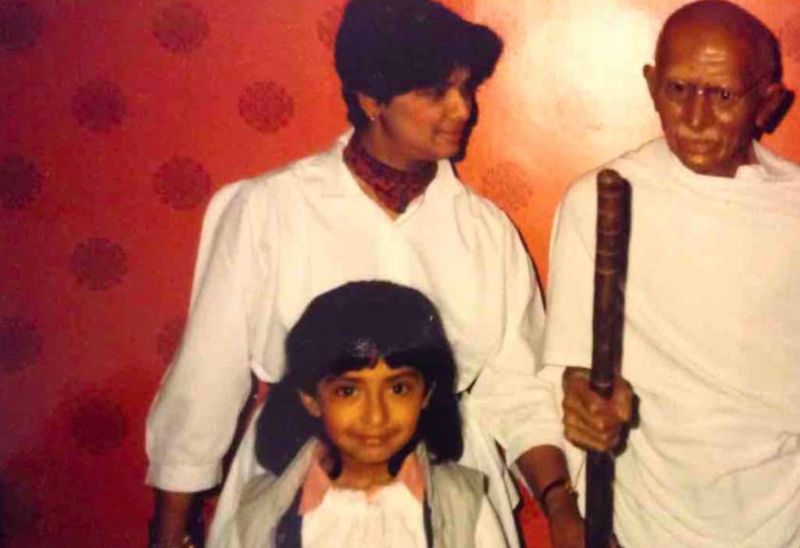 In late 2014, I recast the role auditioning Indian ex-pat or first-generation British Asian women living in London. Shot on 16mm film, candidates had to introduce themselves to an anonymous reader, recite a personalised alphabet, which include references to the history of photography and gender politics and read lines from a script whilst seated and standing. During the recital, a digital image of the Himalayas appears within a masked out rectangle. It signals the modern medium to which Kanchi will enter in other works in the show. Krishna Istha re-enacts the introductory sequence of the 1937 Robert Flaherty and Zoltan Korda film Elephant Boy, in which child actor Sabu recites lines by rote in English despite not being conversant with the language. The work explores how colonial violence is imposed on individuals as they take on a new language. The introduction is testament to this: the words and grammar don't always make sense, just as language evolves, erodes and changes over time. The delivery of the lines also draws upon the uncomfortable nature of miming, and miming other people, in particular by those who wish to ridicule and differentiate based on the cuts and timing of the source material. 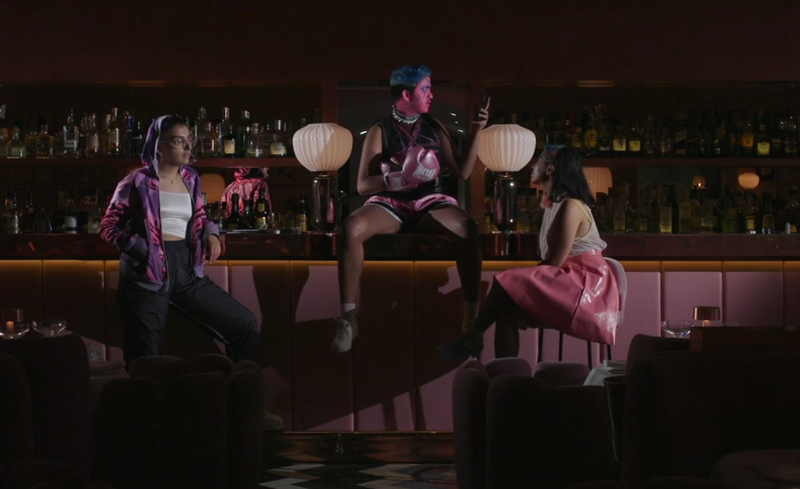 A docufiction that follows the lives of three individuals who identify as queer. The work details their feelings and personal expressions as they navigate home and professional lives, and the establishment of non-binary self-definition without apology. A performative re-enactment of the preparation of Sabu as 'The Elephant Boy'. Krishna Istha plays Toomai, from Robert Flaherty and Zoltan Korda's 1937 film Elephant Boy. The filmed performance was part of the group exhibition entitled The Making, a show about the process of making work. The performance was in line with the show's ethos of bridging the gap between performativity, exhibition and audience engagement. Violet Culbo, a tattooed, mute stowaway from Asia, is discovered in a crate on the runway at Luton Airport. As she performs bodily transformations, a group of other migrants view her discovery as a miracle and become her followers. 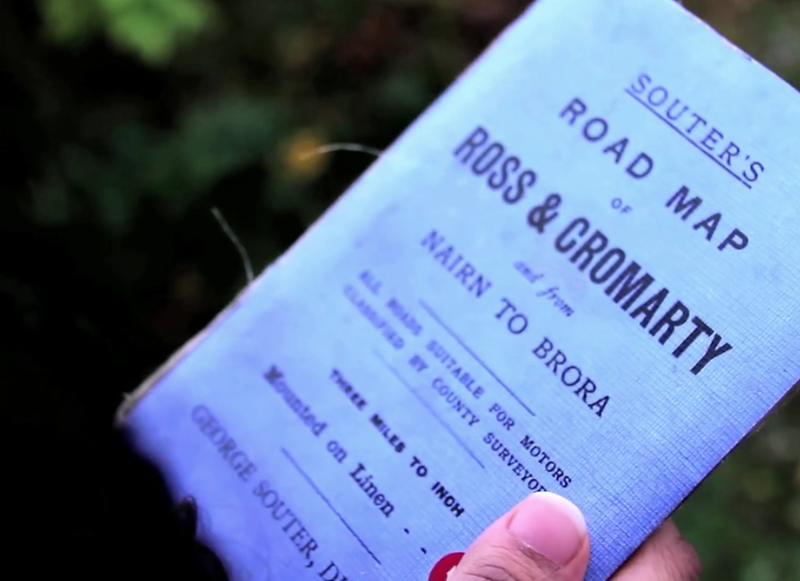 They begin a pilgrimage on foot to take her through the UK to the village of her ancestors: Culbo, Scotland.